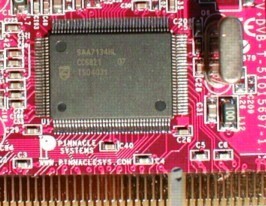 The number indicates the chip type, 0878 for the earlier Conexant chip and 7134 for the later Philips chip. Look at the card! 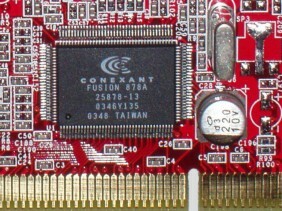 With the external connections to your left and the PCI bus connections towards the bottom, look at the chip in the bottom right hand corner of the PCI card. Looking at the retail packaging is not a foolproof method of identifying which type of chip has been used on the card inside the box! If you have a TV card which reports any other number, then please get in touch.